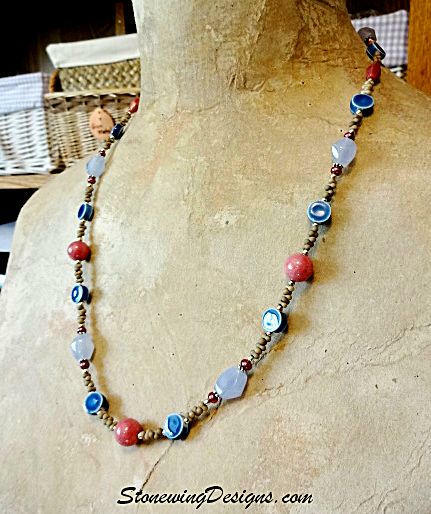 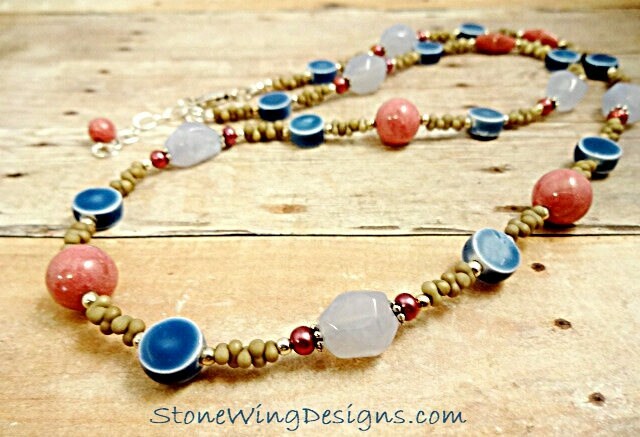 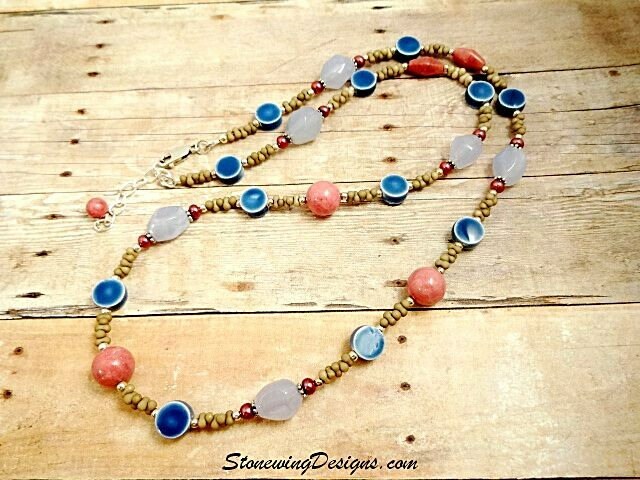 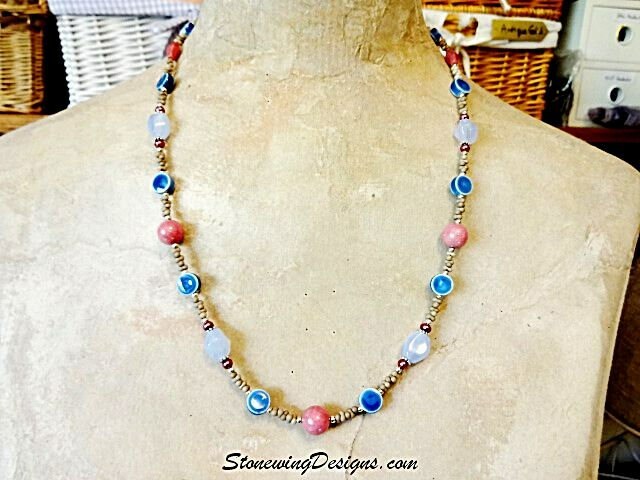 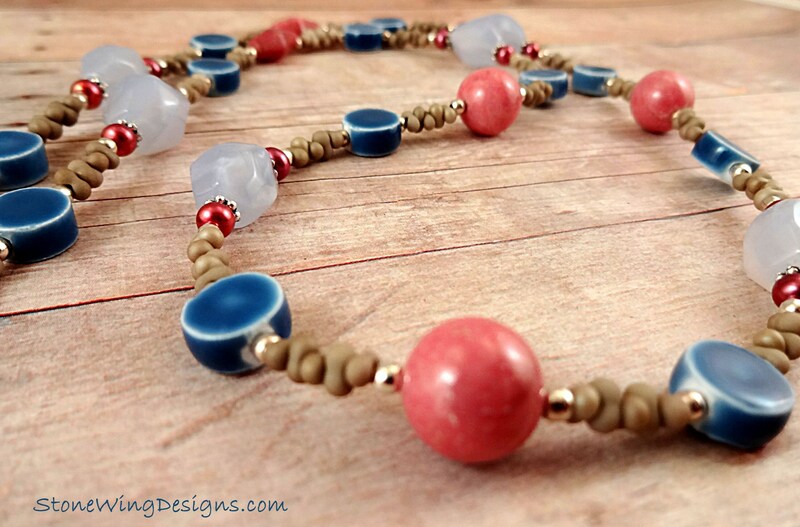 This lovely necklace features blue chalcedony nuggets, Rhodonite 10mm rounds and faceted ovals, 6mm blue ceramic discs and dark pink freshwater pearls. 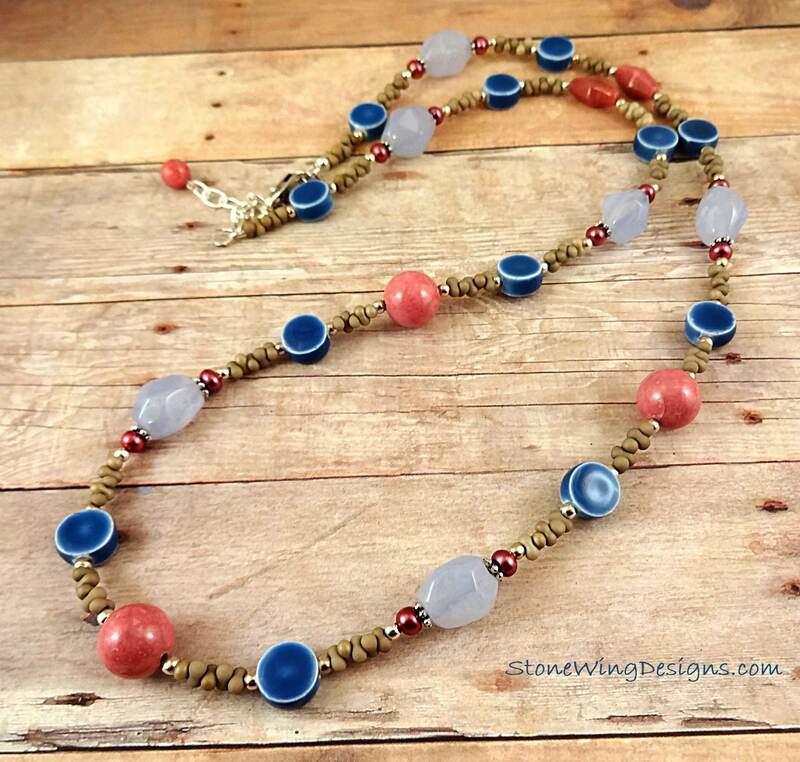 Sterling Silver spacer beads, tan peanut beads, silver daisy spacers, and a Sterling Silver extender chain make this a versatile piece that you can wear to the office or with your favorite blue jeans. 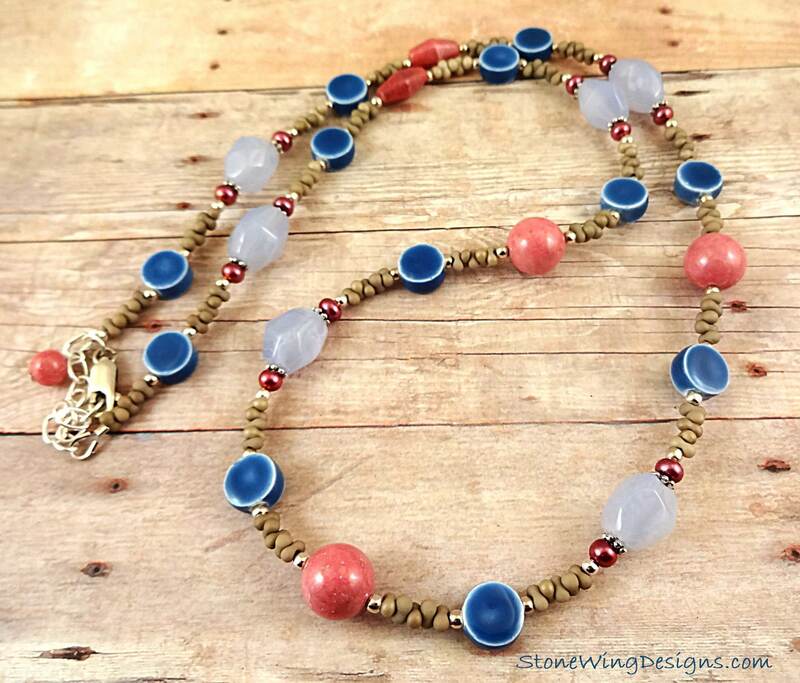 The closure is a Sterling Silver lobster clasp. 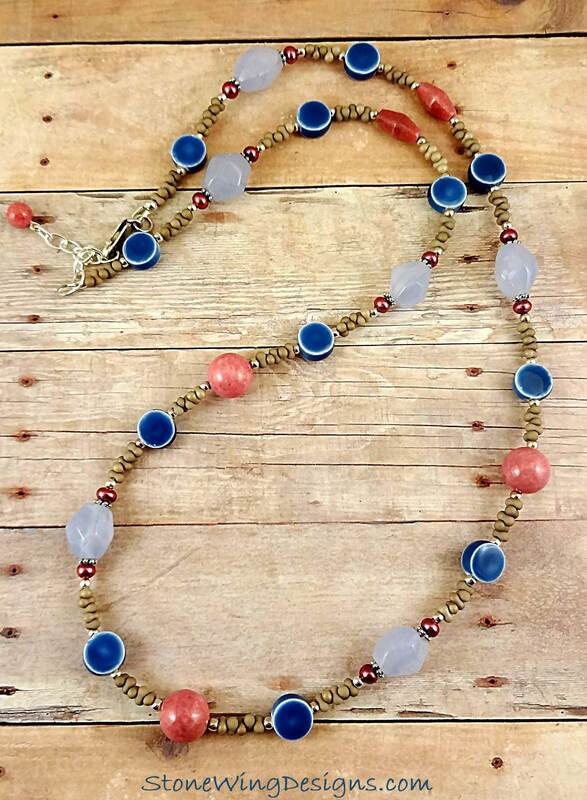 The necklace length is adjustable from 20 to 23 inches.